The problem with most WordPress plugins that stop blog comment spam is that they are blocking regular commentators too. Disable Akismet because it repeatedly blocks regular readers and commentators and will continue to do so unless Automattic decides to change the way their algorithm works to make it easier for real commentators to get unflagged as spammers or to more heavily weight trusted bloggers who know the difference between real spam and comments they don’t happen to care for personally. Make sure you are not running any other plugins that put comments into the spam section. Use the blacklist function found under Settings, Discussion in your WordPress Dashboard. Install a plugin that blocks bots. We are currently testing a new anti-spam plugin specifically designed to do that. Captchas – some object to any captcha and while we tested one that was easy to read three regular readers complained within 48 hours that the plugin said they entered incorrectly when they did not. While clearing cookies may have resolved that issue, if experienced bloggers don’t know that neither will most Internet users. Plugins like Bad Behavior (not recommended because it can lock you out of your blog and requires manually editing of multiple files to remove manually). The WordPress blacklist function does not actually prevent spammers from commenting – it only puts their comments into the spam section. However, as long as nothing else is putting anything into that folder and you are very careful about what you put in the blacklist, using it is a vast improvement over Akismet and other anti-spam plugins that put consistently put real comments into that area along with the spam. Do not make the mistake of putting any word in the blacklist that is included in any other word or you will block real comments – even yours. For example, one word many wish to block would block the words assume, assumption, brass, etc. so you can NOT block that type of word with a blacklist. You CAN block all kinds of words that you are certain would not appear in a comment in your blog. Do try to think of any scenario and any business name or domain that might choose to read you and do your best not to block them accidentally. Blacklists alone are NOT a suitable spam solution because they need to be continually updated, but they are useful when used with another plugin. Since adding a huge list of spammers and words to the WordPress blacklist function it has moved just under 2,000 comments to spam. I manually reviewed them – all 55 pages of them – and verified that there were no real comments being caught by my blacklist. I will email it to anyone who requests it (just leave a comment in this post) and if someone can tell me how I will make it downloadable here. Andy Bailey of CommentLuv has created a new WordPress plugin based on a suggestion and input from Phil Hollows of FeedBlitz. We have tested that plugin first in a healthy living blog and then in this blog before making it available for others. If you have a test site and are willing to install the plugin to verify that it plays nicely with your Theme and existing plugins contact me. Translation from Indonesian: Very interesting information presented and can help those who want to build a website easily and friendly. Totally agree with you, I hate the way that Akismet works (but the worst thing is it recommended by WordPress developer). Now, my blog uses Growmap anti bot plugin and it works perfect for me. Comment SPAM Wiper. It has a high rate of detection and the API that works with the majority of platforms. It offers all the protection you need (comment, trackback, pingback, etc.). Been hearing a lot of it this past year, Akismet doing the exact opposite of its purpose. Blocking the real ones and allowing the bots to post. Captcha or a checkbox is still advisable to use these days, especially when spammers are getting more clever by the day. Yes, the update says it all: USE GASP! Akismet was a nice idea, but it didn’t work out. GASP is all you need. I have been using it for quite some time now, without any other anti-spam plugin, and it has done it’s job 100% perfect. I never really checked my akismet blocked comments before. Maybe I am getting some good comments on my blogs and don’t know it. Thanks for the tip. I’ll have to take a look at this and possibly implement one of your solutions for blocking unwanted comments. I’m loving the GASP update. I wish more people would start using it. Some of my sites get auto-flagged as spam because the domain name is too long or something of the sort. Quite frustrating. I get angry with spam on my site. I hope it will work. Im in the fence right now..thinking of disabling Akismet coz of this problem..can anyone recommend a good anti-spamming plugin for WP?? There is a link at the very top of this post to the best solution. There have already been	11,357 downloads from the official WordPress plugin database and we have tons of testimonials that it works. Your blog is great. 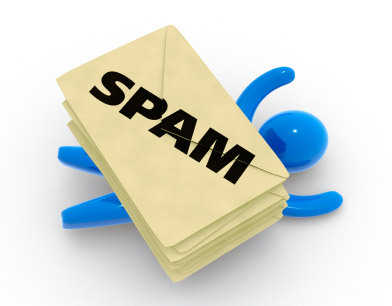 Thanks for sharing information regarding word press blog spam solutions. I have learned a new but usable thing. I have read on many other blogs that the bloggers have a complaint about the Akismet. It blocks their regular visitors. Installed this last week on my own WordPress blog and it cut down spam by a lot. However, some were still getting through as bots just keep getting cleverer (or are more people being employed now to do the spamming?). Anyway, for me the best way was to remove comments completely for now – not ideal at all but I just don’t have the time to keep clearing rubbish. No bots have gotten past the GrowMap anti-spambot plugin yet. There are some spammers who copy/paste comments that look like the comments spambots leave. Those who remove comments completely are going to start seeing an impact on their search engine positions because interaction is being factored into ranking algorithms. Your plugin to spam bots has quickly become popular in such short time…I am noticing few very big blogs have started using it and they trust it so much that they’ve become auto-approval now (although using other measures as well like closing comments within few days to combat ever-growing sophisticated spam). And well yes with Akismet, they either need to change their algorithm to actually beat spam (some spam passes easily through Akismet) rather than blocking real people OR they need to improve their support system to atleast reply to people who ask to unblock their sites. I can’t recommend going auto-approve because there are manual spammers who will load you up crap. If it was just junk that would be one thing but often it includes links to objectionable or illegal sites. What I do recommend is checking the box that they must have one approved comment first – and then if they spam you delete every comment they’ve left and blacklist them so they can’t do it again. 1) We are all really busy and I may not read your “new” post for a week or two or longer – often when others send it to me or it is linked to from another new post. 2) Even more people will not see your post until they are searching for information about that specific topic. What if they have a question or an answer to share? If you close comments you cut yourself and your readers off from what could be just what they need next. I suggest those using Akismet start watching what type of spam continually gets through. Either those spammers are too clever or there is another reason their spam doesn’t get stopped. When I wrote the first post about Akismet they took down the page for bloggers to test to find out if they were spammers. That doesn’t exactly say “we care” about those have been flagged. Our new plugin IS the solution. And if the spammers figure out how to defeat I know that we have many sharp bloggers and programmers using it who WILL come up with a new solution quickly because we are all spoiled now to not being buried in spam. I’ll look forward to the new plugin then – although I vaguely remember reading something about blocking them at the .htaccess level so that they didn’t take up so many server resources. It might have been at Perishable Press but I can’t remember. Have you seen our alternative to Akismet? Works great. Details on my blog. So happy for you that at last you have found a solution to combat all that spam you were getting! I have noticed a rise in spam, as I get more traffic to my site. I suppose it only stands to reason that if I put myself out there more that the spammers will see it as another opportunity to try and get past my anti-spam. I am trying out scratch my back to reduce any spammers while still encouraging commenting. Hello Gail. I installed Akismet about 2 weeks ago along with Conditional Captcha and that has been working great for me. Although I know I don’t get the kind of traffic you as I have personally deleted some of your spam for you, but it does work for the small time blogs like mine. I do change the setting that if someone gets through the Captcha to put it spam for review if the url is known for spam. It’s good to hear you found what works for you. I strongly recommend AGAINST using Akismet because it treats regular readers and commentators so badly. Neither Akismet nor a captcha is necessary if you use our new plugin. You remember seeing 1000s of spam in this blog, don’t you? Log in now and there will be less than 10-50 comments at any time and most of those will be real. This plugin Phil encouraged Andy to write is a true blessing. If someone still insists on using Akismet I hope they will at least disable the Akismet deletes comments instantly function. That’s astonishing over 1000 spamming bots a day! You could try to put all your blacklist ip’s / words in a common list where (or do a script where everyone could upload the list) and offer it to the whole word. I bet that would definitely help a lot of people. I, myself use this bitdefender service (hxxp://labs.bitdefender.com/project/bitdefender-antispam-solution-for-wordpress-13.html ) which has a nice detection rate, with proactive analyze of the comment to determine if is spam or not. Is something like Akismet, but it doesn’t block a certain user if that certain user was flagged as spammer once, it just analyzes their comment. With this plugin I get zero spambot created messages so I don’t need a blacklist any more. What many people do not realize is huge numbers of IP addresses are shared between users. The next available IP address is assigned to Internet users as they come online so blocking a bad actor ends up blocking innocent Internet users. We now have this new anti-spambot plugin installed in dozens of blogs with no problems in any of them. It has cut spam to almost nothing. Only spammers who leave spam manually can comment now. The plugin will be uploaded to the WordPress repository soon and I will email it to anyone who asks for it. Hm, you are right about the blacklists I have a dynamic ip myself and if someone does something wrong with one ip and i get that one, I might be banned for nothing. I hope your plugin will help a lot of people (actually i know it will, because it’s tested 😉 ). We haven’t had too much of a problem using Typepad Antispam (for WP) or Defensio, which is a newcomer and in testing, to block bad commenters. You will always occasionally have a misflagged comment, but at least Defensio learns and gives you a rating for each comment so you know how spammy it thinks it is. I’d suggest checking it out and at least testing for a week or so to evaluate its effectiveness. Because there is no consensus on exactly what constitutes spam, any plugin that relies on bloggers to flag spam and especially plugins like Akismet which require only a few clicks to flag you as a spammer but refuse to remove that flag even after dozens of no-spam clicks are going to always have false positives. As soon as you have false positives and have to start reviewing all the spam you have lost the advantage of having an anti-spam plugin. Here is the difference for this blog. With Akismet we had about 600+ comments a day to review – mostly spam but usually 5-12+ real comments in among the spam. When we publicly announced we had disabled Akismet the spammers apparently put us on their favorite blogs list and it jumped to 1000+ a day. With this new anti-spam plugin that Andy wrote we now get about 20 comments a day total and of those maybe 25-30% are manually entered spam and 70-75% are real comments. What a blessing to be able to immediately find and approve real comments from regular and new readers alike. I have no personal experience with Typepad Antispam or Defensio so I can not speak to how they compare to Akismet. If they do indeed learn and flag spam based on YOUR input rather than relying on all bloggers they might be a viable option. I have a very long blacklist with IPs and words that I got from someone. I’d appreciate a copy of yours for comparison and possible use instead. To make it available as a download, it seems you could just upload it to the public_html folder of this blog. Then we could download it by just adding the filename to this site’s URL. I’m not sure we even need a blacklist any more because I haven’t added anything to it since I added the plugin to the blogs. I did go ahead and email it to you just in case you wanted to see it. Some plugins seem to be available at WordPress while others are downloaded from private sites. I’ll discuss the options with Andy at CommentLuv and the various people who handle that type of technical thing for this and other of our JV blogs. Hopefully we can get it uploaded somewhere in the next day or so and I’ll write another post announcing the public availability. We have it installed in all of our blogs, Murray Newland’s blogs and sent it to our close collaborators and have had no reports of any conflicts or problems.